Zach was raised in Three Rivers, but it was not long before he left to pursue his diverse interests in technology, game design, robotics, and physics. Following high school, Zach attended Harvard University in Cambridge, where he studied computer science and applied physics. 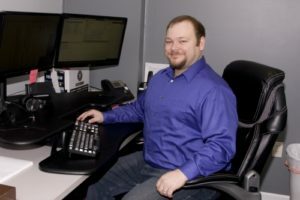 After having leadership roles in companies such as Rapid Kinetics, eFusion Systems, and Uplink Studios, just to name a few, Zach returned home to Kalamazoo to continue his technological career as a developer at Technology Solutions of Michigan.